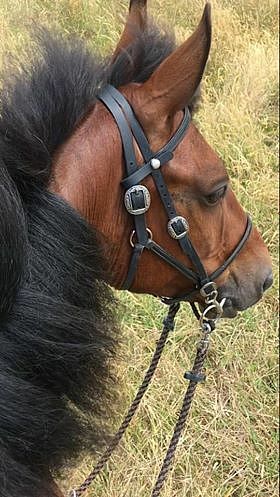 This Add-On headstall comes with all the same features as the our other Deluxe Add-On headstalls, but with the following added features. 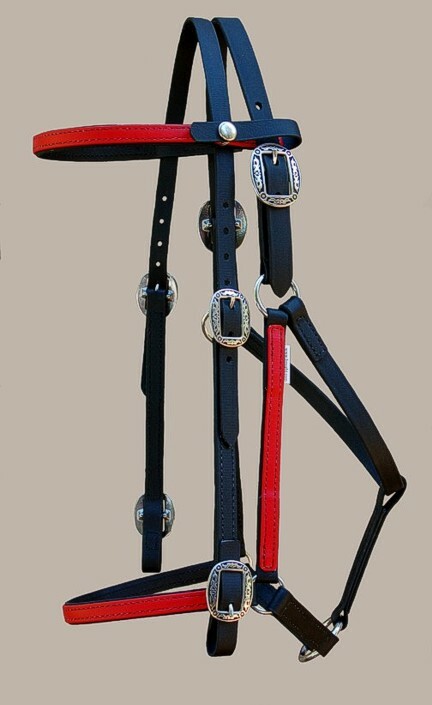 1) Double buckles on the halter (comes with extra crown) See this link for more detail description about this option. 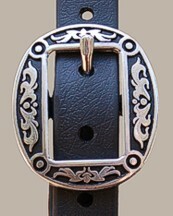 2) Horse Shoe Brand Hardware - Embossed stainless steel with black accent background. Very attractive, functional and strong. 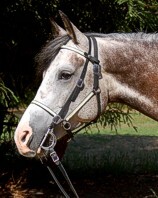 Nancy sent this photo to me, letting me know how pretty this headstall is on her horse. I asked her if I could share it. 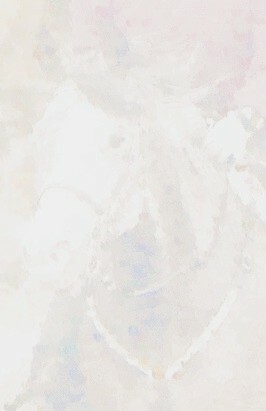 She has commented on how much she liked him from first meeting him. 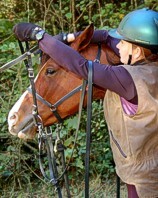 Below are a variety of Deluxe Add-On Headstalls. Click on links to the right of each image for details, price and to order.